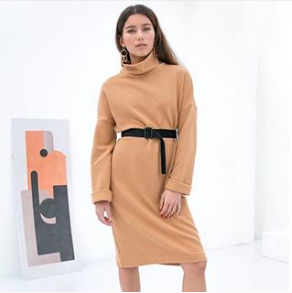 …near the holiday season, and our schedules get even busier, it’s the perfect time to curate a capsule of go-to pieces that will take you from the office and holiday parties, to festive weekends with the family, and everywhere in between. To help you get a jump start on planning, we’ve partnered up with some of our favorite ethical fashion brands on an Instagram giveaway launching on Wednesday, November 7. Be sure to follow along with us @thecausebar for details – we’ll keep our fingers crossed for you! In the meantime, here’s a roundup of some of our favorites propelling positive change in style this holiday season! 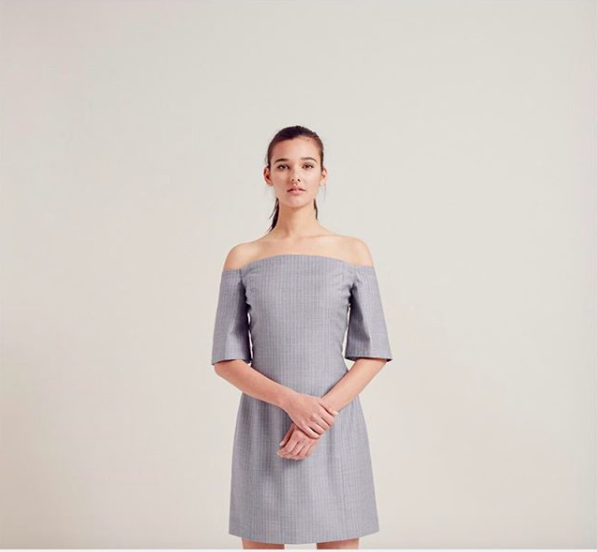 Galerie LA: A curated selection of ethical and eco-friendly fashion has some of our favorite brands, and we’re swooning over the Caitlyn Dress by Noumenon, perfect for dressing up for meetings and holiday parties, or down with a pair of sneaks. It’s 100% organic cotton and ethically produced in Lithuania. Rallier: For every piece sold, school uniforms are given to girls in regions plagued by gender inequality. Layer your favorite blazer or cardigan overtop of the Jennifer Dress in Graphite for the office, or lose the blazer for a girls night, date night, or holiday party. …We love this Denise Back Tie top by Conrado with jeans and sneakers, or styled with black pants and heels for a more sophisticated look. Conrado offers styles that meet at the intersection of city and beach life, which makes them versatile staples in our closet. All Conrado styles are produced in the Philippines by founder Angela Sison’s mother's small family-ran factory. Soko: The easiest way to elevate any look is with accessories, and Soko has an amazing assortment of modern, ethical jewelry handcrafted by artisan entrepreneurs. All pieces are designed in San Francisco and made in Kenya. We love these Tulla Statement Threader earrings to add a little shine to any outfit. VELE: A versatile bag that’s ethically crafted in Spain and committed to ending human trafficking? Yes please! VELE’s Crossbody Clutch can keep up with you on the go and easily transform into a clutch with a removable strap for a sleek evening bag. Where Mountains Meet: We love these sweaters by Where Mountains Meet, which creates their collections through collaborations with craftsmen and women from India and across South America. The Leigh Sweater and the Zoey Sweater are perfect for keeping up with a busy weekend of holiday shopping. …just for The Cause Bar community!